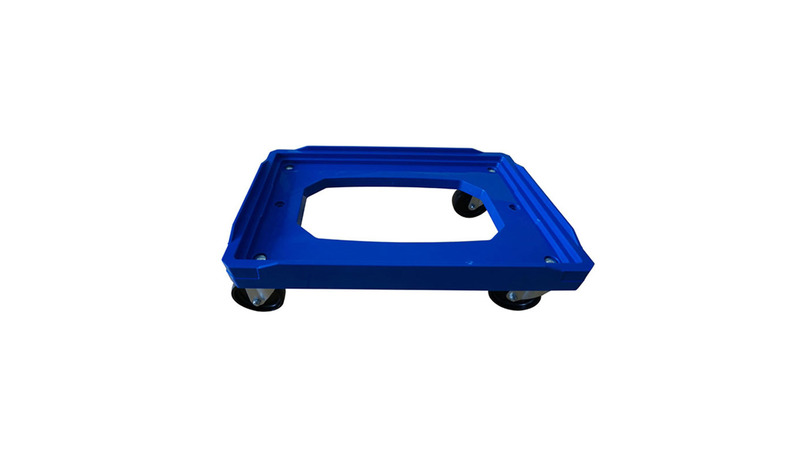 Uni-Silent Plastic dolly - Durable and Industrial 150kg capacity smooth cart for box loading. PP castors and ABS beds are much lighter,durable,flexible, with good shock resistance and environmental. Great for supermarket, warehouse, hotel, CBD, school, government, stores etc. Four 100mm Swivel Castors. Platform size: 620*420mm.